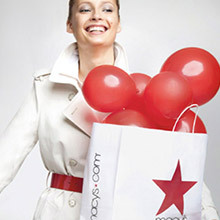 The Market @ Macy's is located in prime, high foot traffic locations of our stores. You choose the store your brand will be featured in—you can even choose more than one! 1 in 2 Americans shop at Macy's at least once a year—and now, they can see your brand when they walk in! We'll handle setup and takedown according to your brand vision, plus provide you with full-time, dedicated sales associates. •You keep 100% of the sales! 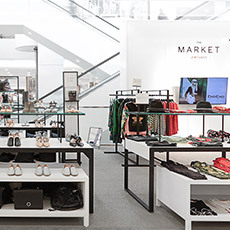 Brands pay one up-front, all-inclusive fee to participate in The Market and keep all of the sales revenue they make in our stores. 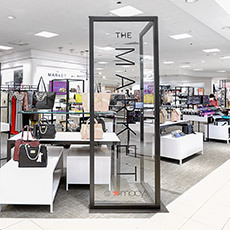 Make your vision a reality on the Macy's floor—The Market @ Macy's is the perfect opportunity to create a special experience for new customers. Use rich data analytics like daily sales data, foot traffic, customer engagement and conversion rates so you can optimize your brand's performance. 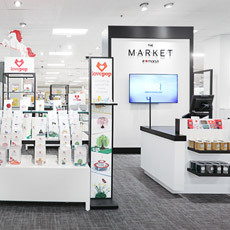 Who's Eligible to Participate in The Market @ Macy's? We're looking for new, exciting brands with diverse products, services and experiences. 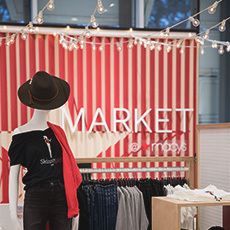 From startups to established brands, if you're new to Macy's or have a unique concept, The Market is the place for you! You choose when and for how long you'd like your brand featured! We offer flexible one to three month plans per location. 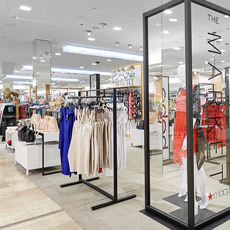 The Market @ Macy's is located in several of our major markets across the country. You choose which store you'd like to be featured in. You can even choose more than one! 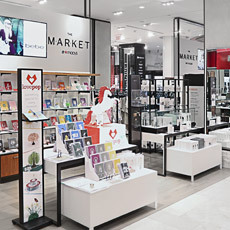 The Market @ Macy's is divided into pods of varying size to accommodate your needs. Pods start at approximately 100 sq feet. 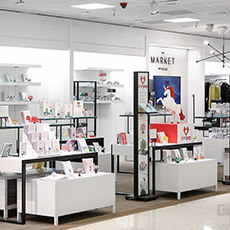 We handle in-store setup for you, and have a variety of fixtures you can use in your space. If you require your own fixture, our team will work with you individually to bring your vision to life. First, you submit an application sharing your brand information with us. You&apos;ll pay a single, up-front, all-inclusive fee 30 days before launch. Next, you'll choose the store(s) you'd like to be featured in, the size of your space, and the timing that suits you best. 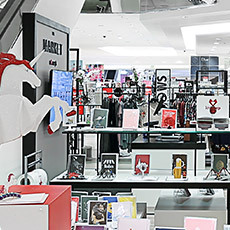 We'll take you through a simple process where we'll get to know your brand, product and vision, so we can bring it to life in store! Then, you'll send your product directly to our stores. We'll handle the rest! Keep 100% of the sales you make in our store. Payments are disbursed monthly. We require a 10% deposit within 10 days of your agreement to participate in the Market and your full one-time fee 30 days before launch. We’ll also need your W9/ACH information so that we can pay you for all sales made during your time at Market. Depending on the nature of your product or service, you may need a permit to participate. Insurance is required to protect against liability for damages, accidents and more. Selling product? We’ll need enough to fill your space and meet anticipated demand. 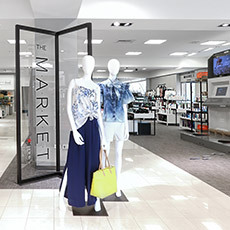 You have the opportunity to make the space you own with logos, signs, product displays and more. They’ll help make the space your own—but be sure to get the necessary approvals. Getting the word out or adding a special, in-store event will amplify your results. Experts with a person touch can improve styling, service, and your brand’s authority. We’ll provide it for you and take care of any associated credit card fees. We take care of all set up and break down for you. For over 150 years Macy&apos;s has held a unique and special place in the hearts of millions. We embody the star and all that it represents to help make life shine brighter—on every occasion, in any season and on any day. We help our customers get ready for everything with the latest fashions for Fall and the colors of Spring. We delight young and old with beloved events such as the Thanksgiving Day Parade and Fourth of July Fireworks. We encourage everyone to look up and celebrate the excitement, joy and tradition surrounding them. • 158 YEAR-OLD BRAND operating over 500 stores across 45 states, the District of Columbia, Guam and Puerto Rico. • $25 BILLION in annual revenue in 2016. • 1.4 BILLION VISITORS ANNUALLY to our e-commerce site. • #1 WOMEN&apos;S APPAREL retailer in US. • #1 FRAGRANCE retailer in US. We believe in giving back to our local communities. Collectively, contributions in 2015 from the company—as well as employee contributions through workplace-giving campaigns and customer contributions through our signature giving programs—totaled nearly $71 million. 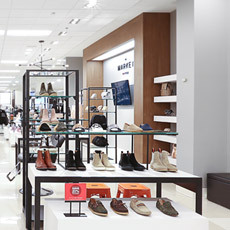 The Macy&apos;s core customer loves fashion and the experience of shopping—they are willing to pay for great brands and service, and they are loyal shoppers. They are ethnically diverse, shop for their families, and a high-percentage have kids living in their household. Our customer reach is broad, with 50% of Americans shopping with us 1+ times a year. 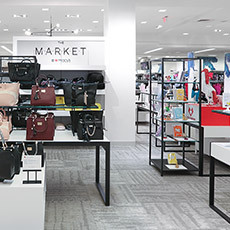 Ready for your brand to be featured at The Market @ Macy’s?